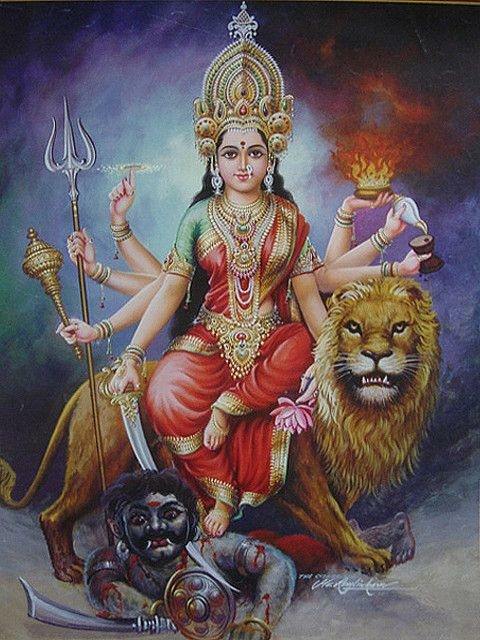 Parashakti and Adishakti are the forms of Supreme Mother Goddess. But is there difference between Parashakti and Adishakti? For a devotee who is immersed in unwavering devotion (Bhakti) they both lead to the same goal – Moksha or Liberation. For a devotee who is still struggling in the world of forms there is a difference. The philosophy of various manifestations of Shiva and Shakti is associated with the Suddha Shaiva School of Shaivism. As you might be aware that in Sanatana Dharma (Hinduism), creation, sustenance and destruction follow a cyclic path. Thus at the end of one cycle - after destruction, Parashakti evolves from Shiva when His boundless mercy wills. She appears for the purpose of next cycle of creation and removal of dirt (Adharma) from the world. From this Shakti emerges other Shaktis. For the purpose of next cycle creation and to remove dirt, from a thousandth part of Shiva emerges Parashakti. From a thousandth part of Parashakti emerges Adishakti. This is the difference from a scholarly point of view. A devotee should aim to realize that all forms are of That Supreme Truth – this is moksha.